By the time a third Avengers film rolls out, likely in the summer of 2018, Chris Evans will have spent the better part of a decade bringing Steve Rogers to the big screen. According to Evans, its about time for a break. In an interview with the British magazine, Glamour, Evans, 32, reveals that he's ready to change sides of the camera and try his hand at directing. "I think when I'm done with this Marvel contract," said Evans, "I'll take a little break from acting." Evans, whose latest Marvel film, Captain America: The Winter Soldier, will hit theaters within a month, signed a 6-picture deal with the studio. With filming set to begin soon on Avengers: Age of Ultron, Evans will be making his fourth appearance in a Marvel film (or fifth if it turns out his cameo in Thor: The Dark World ate up one of those pictures). With Evans nearing the end of his Marvel Studios' deal and his intentions, at least for the moment, made clear, what does this mean for the future of the MCU? If you've been here more than once, you know my thoughts on the subject. The writing has been on the wall for some time now: Steve Rogers is going to die on screen. It also becomes extremely relevant to know if Evans' cameo in Thor: The Dark World come off his contract because, if so, Evans' last turn as Captain America would likely come in Captain America 3, which is already in the works and a prime candidate for one of Marvel's 2016 films. Marvel has rehired the Russo brothers, the directors of Captain America: The Winters Soldier, to helm the third Captain America solo film and it's been rumored that the story and direction of the film are already determined. We also know that Frank Grillo's Brock Rumlow and Emily Van Camp's Agent 13 are set to return for the threequel. That bit of info becomes especially important given the role the two characters play in the comic book murder of Steve Rogers. All things are in place for the third Cap film to be the stage on which we see the Death of Captain America story line. Having said that, it's also possible that rather than making an entire movie out of it, they incorporate it into the third Avengers film, but those decisions are determined by the contractual issues to which we aren't fully privy, so the best we can do is guess and my guess is that Steve Rogers will not make it out of Phase 3. Steve Rogers' death would be a stunner to general audiences and it seemingly leaves a gaping hole in the Avengers' roster. We do know that Kevin Feige and Joss Whedon have planned ahead to at least 2021 and we know that they both look forward to tinkering with the roster of the Avengers just as has happened in the comics for over 50 years. Also, while Evans is approaching the end of his 6-picture deal, Sebastian Stan, the actor who portrays Bucky Barnes/The Winter Soldier, has 4 pictures left on his 6-picture deal. Knowing those things, it really can't be all that surprising that they've already planned for life after Chris Evans and that they have, for some time now, planned to use the death of Captain America story in the MCU. In fact, they've done it openly and part of the plan will unfold in Captain America: The Winter Soldier. 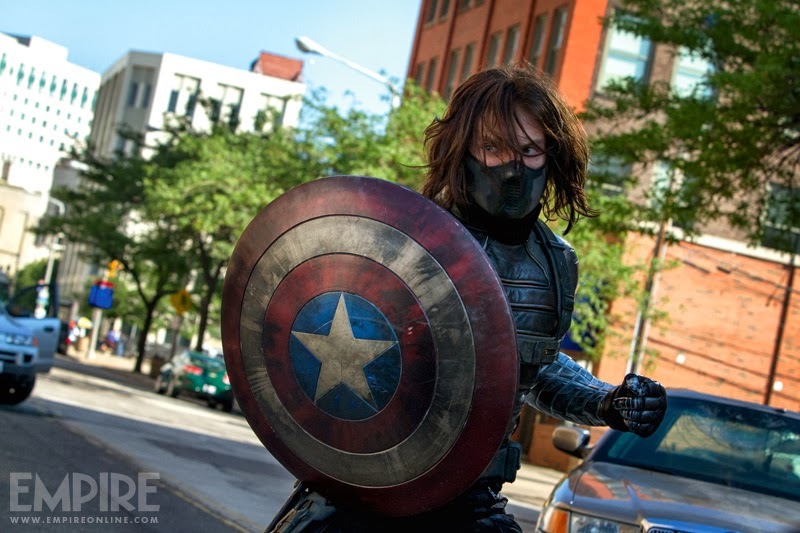 In the upcoming film, Rogers' best friend, Bucky Barnes, will return from "the dead" as the dreaded Winter Soldier. Fans of the comics already know the endgame: Barnes will break free of his programming and rejoin his friend as one of the good guys. Knowing that, it can't be that big of a leap to follow the next arc and see that when Steve Rogers does die, it will be Bucky who will pick up his shield and take on the mantle of Captain America; it was foreshadowed in the original Captain America and it'll be hard not to think about it every time Bucky gets his hands on the shield in Captain America: The Winter Soldier. Chris Evans makes a great Captain America. His character has inspired the heroes of the MCU; he'll inspire them again in his next 3-4 films; he'll continue to inspire them after his on-screen death. That's the point of Captain America. He's the Sentinel of Liberty. A symbol of all things great about America and heroes in general. Things so great that death can't interfere. Can't wait to see it happen...thinking about the reaction of the audience gives me goose bumps.